FileZilla is the most popular FTP software, however be aware that installing FileZilla on your computer might install some bundleware/malware on your machine. You can avoid this by carefully not clicking on the ‘I Agree’ button for that specific option. For those searching for alternative FTP program that works and doesn’t contain bundleware, here are all of the free FTP clients we managed to find, meaning they don’t charge you to connect to the FTP server. Some will work on a Windows operating system only, but others are usable on a Mac or Linux computer. Cyberduck is an open source FTP client. 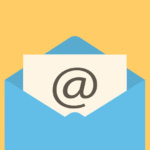 With an easy to use interface, connect to FTP (File Transfer Protocol), SFTP (SSH Secure File Transfer), WebDAV (Web-based Distributed Authoring and Versioning), Amazon S3, Google Storage, Windows Azure, Rackspace Cloud Files, Dropbox and even Google Docs. 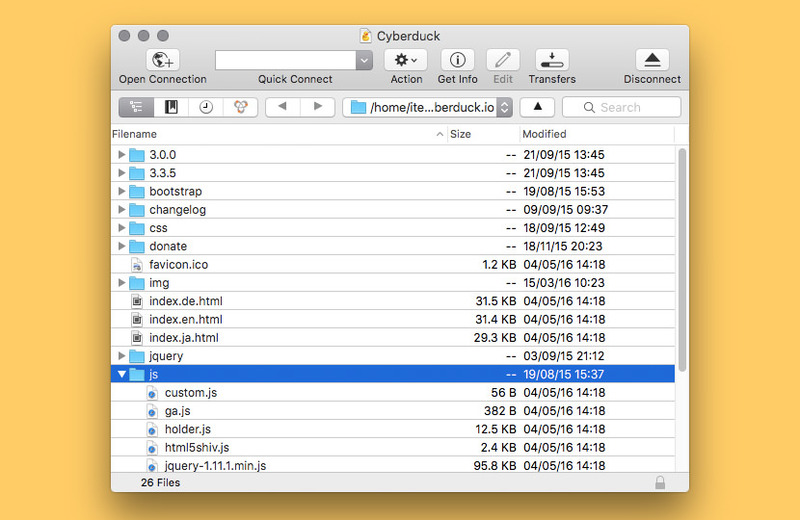 Cyberduck includes a bookmark manager and supports the Mac OS X Keychain and Bonjour networking. 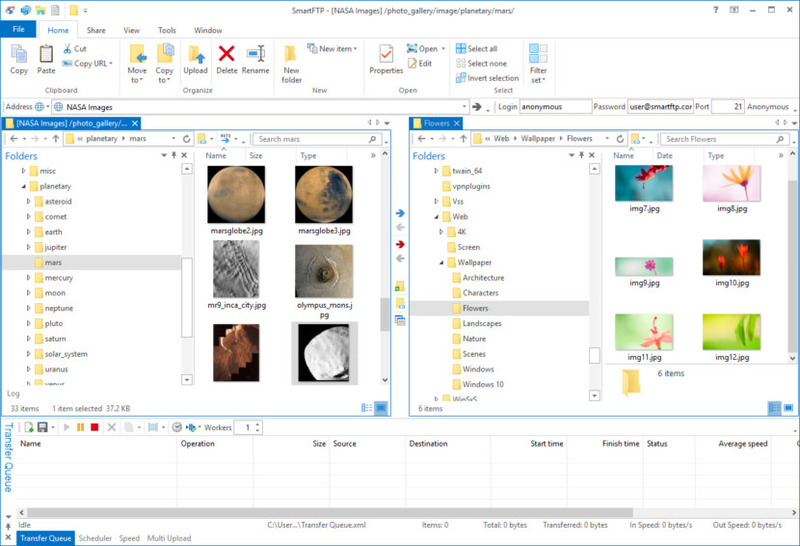 Edit any file with your preferred editor – To edit files, a seamless integration with any external editor application makes it easy to change content quickly. Edit any text or binary file on the server in your preferred application. Connecting to every server – With an easy to use interface, connect to servers, enterprise file sharing and cloud storage. 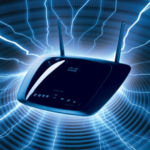 You can find connection profiles for popular hosting service providers. Cryptomator – Client side encryption with ​Cryptomator interoperable vaults to secure your data on any server or cloud storage. Distribute your content in the cloud – Both Amazon CloudFront and Akamai content delivery networks (CDN) can be easily configured to distribute your files worldwide from edge locations. Connect to any server using FTP, SFTP or WebDAV and configure it as the origin of a new Amazon CloudFront CDN distribution. Browse with ease – Browse and move your files quickly in the browser with caching enabled for the best performance. Works with any character encoding for the correct display of Umlaute, Japanese and Chinese. 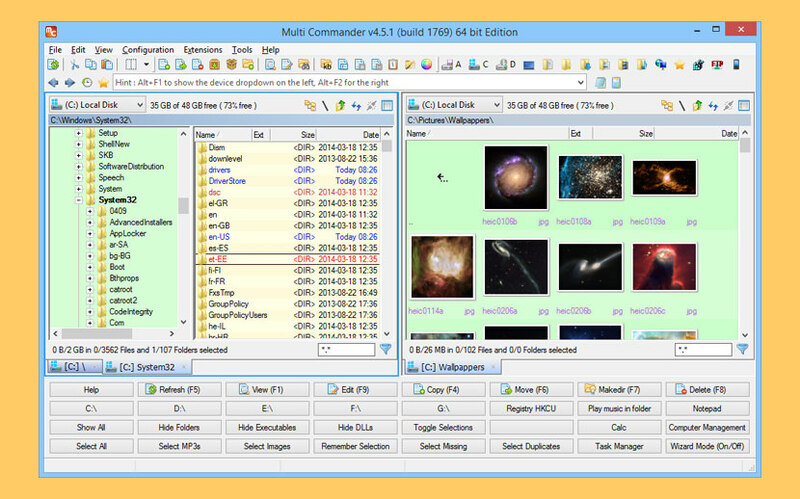 Multi Commander is a multi-tabbed file manager and is an alternative to the standard Windows Explorer. It uses the very popular and efficient dual-panel layout. Multi Commander has everything you need in your daily work with files to increase your speed and efficiency. Tasks such as Auto-unpacking; Auto-sorting; Browsing inside archives; Editing the Windows Registry and accessing FTP; Searching for and Viewing files and pictures. There is also powerful, built-in Scripting support that allows you automate many tasks and expand its functionality. 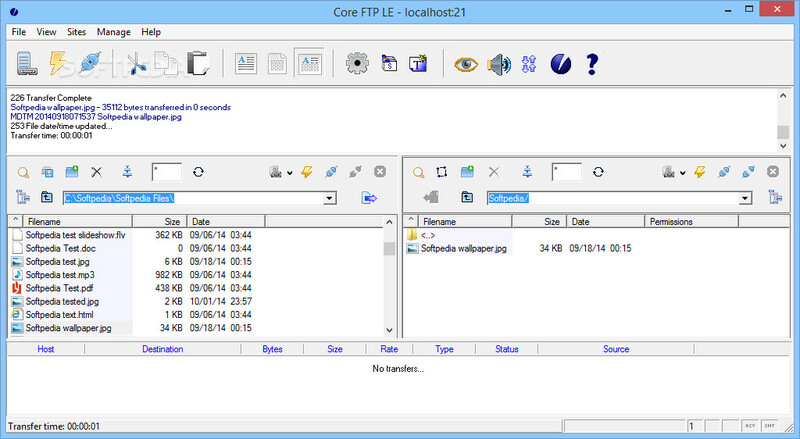 Core FTP LE – free Windows software that includes the client FTP features you need. Features like SFTP (SSH), SSL, TLS, IDN, browser integration, site to site transfers, FTP transfer resume, drag and drop support, file viewing & editing, firewall support, custom commands, FTP URL parsing, command line transfers, filters, and much, much more! 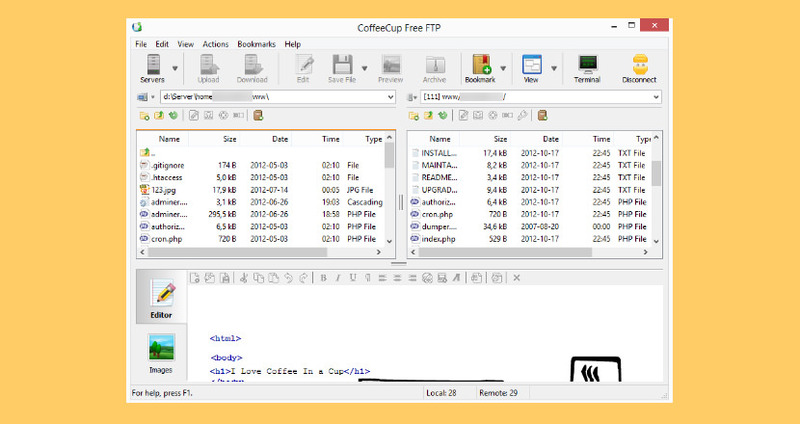 Free FTP is designed to be powerful and user friendly. Connect to your server with the click of a button, and then upload or download files by dragging and dropping them to your server or computer. Keep an eye on everything you do with the FTP Activity pane. This neatly ordered window gives you a clear overview of the status of your file uploads and downloads, making complicated FTP logs a thing of the past. 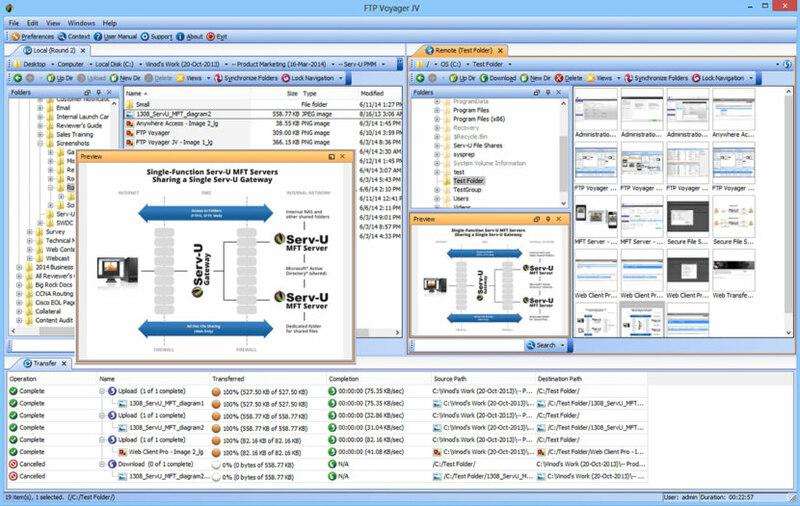 FTP, SFTP, FTPS, and More: You need a program that can handle all the different variations of FTP out there. With Free FTP, you now have a choice between an array of different protocols, including FTP, SFTP, FTPS, and their different methods of encryption. It can even handle HTTP. Easy File Management: Free FTP offers full-fledged local and remote file management, so you can add, move, and launch files all from inside the program. Everything works like you would expect: Double-click an executable file to launch it. Drag and drop files in and out of the local file browser, and they’ll be moved accordingly. Secure FTP client for Windows. 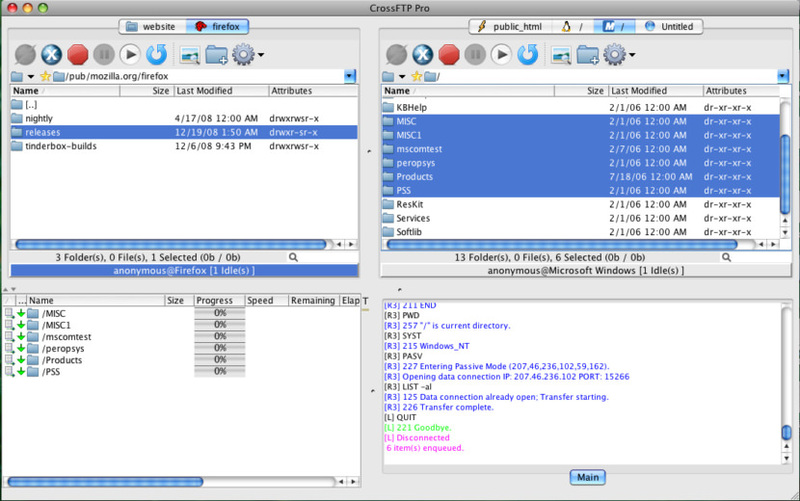 Includes scheduler, sync and backup utilities. 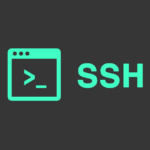 FTP, SFTP (SSH) and FTPS (SSL). Native 64-bit app, uses ribbon interface like Microsoft Office. Includes CLI and integrates with local editors. Supports server side file integrity checking via the XCRC file hash algorithm. 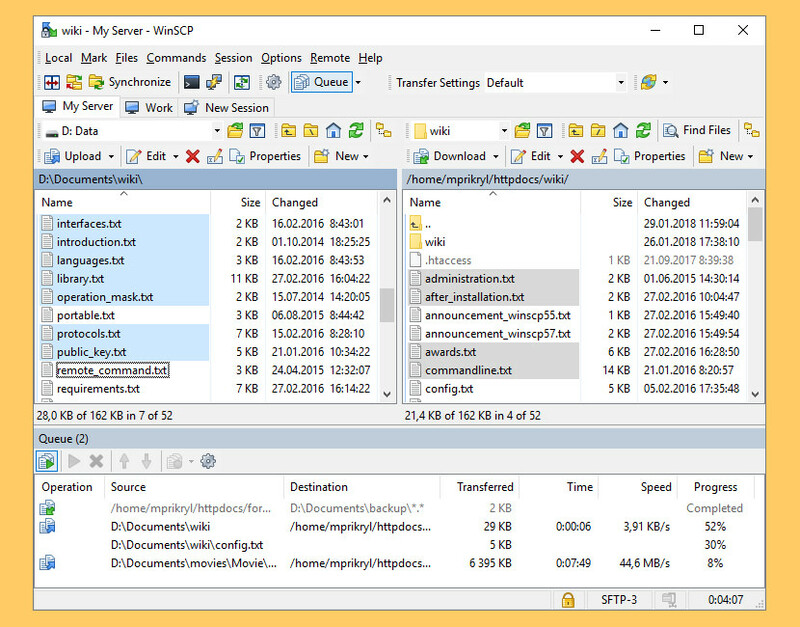 This free FTP client also lets you set up commands and sounds for specific events so that you can let the client run on auto-pilot while still getting a feel for what’s going on without having to always keep an eye on the transfer log.